Before completing the enquiry form for the Pension Audit Report, please ensure you have collected the necessary information in particular, relating to the pension details. 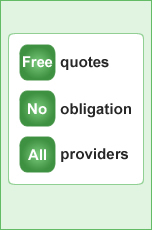 You can find most of this information on the quotation supplied by the pensionholder's scheme provider. It is not necessary to contact the pensionholder or their pension scheme as the provider quotation must be included by the pensionholder in Form E before the first appointment during ancillary relief proceedings. The person requesting the report; either the member or spouse. The pensionholder is the member of the pension scheme. name - The name of the defined benefit or final salary scheme that the pensionholder is a member. Start date - This is when the member first joined the pension scheme. This should be stated on the quotation and is when employment started or possibly after an initial qualifying period. If you are dealing with the Scottish court, different laws apply and you should enter the date of marriage if this is later. End date - If the member is still in service then leave the end date blank, otherwise enter the date of leaving the employer. earnings - These are all earnings that apply for pension purposes and usually exclude bonuses and commissions. On the form, enter the latest figure without a currency sign or any commas. age - This must be between 50 and 75 years of age and is the earliest age at which the scheme allows a member to retire without applying early retirement penalties. date - This is the date used to calculate the benefit value. It could be the date at which the CETV was calculated or normally the date the divorce is expected to be granted for the individuals (decree absolute).